After their defeat by Mao's Chinese communists in 1949, the Chinese ruling elite and the Kuomintang, its ruling political party, lead by Gen. Chiang Kai Shek escaped from the mainland to Formosa (now Taiwan) and took over the local Taiwanese. In about 30 years, Taiwan developed from a backward agricultural society into one of the most modern industrial countries in Asia and the world. It also evolved from Chiang's military dictatorship into a democratic society with the local Taiwanese now controlling their own destiny and homeland. - planned gradual change towards political democracy from a militaristic rule to military professionalism (military respecting and not involved in civilian affairs, can only happen in an informed citizenry). Do Filipinos in the Philippines have the desire to work for the "common good"? 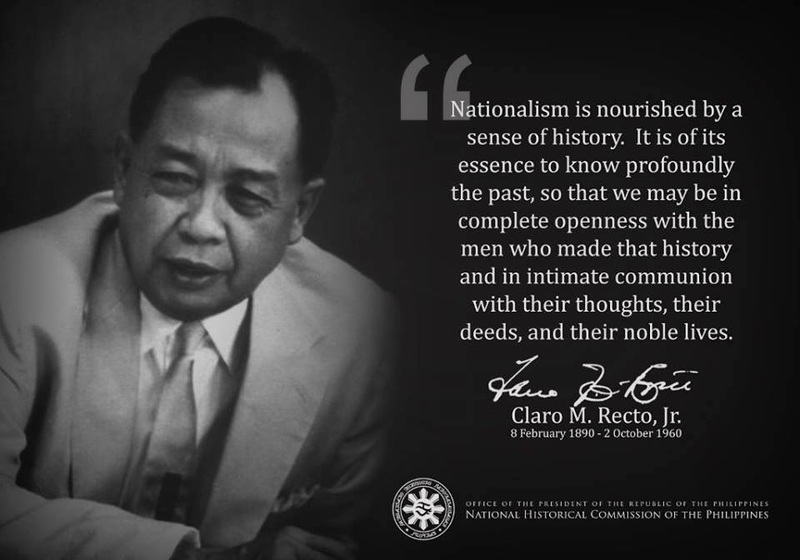 More specifically, does the ruling class, that is, the political, military and socioeconomic power or ruling elite (oligarchs of Spanish and Chinese mestizos, Americans, Chinese and native Pinoy businessmen) have such qualities and desires to work for the homeland or just for perpetually maintaining and enhancing their "high society?" The political economy of regime transformation: Taiwan and Southeast Asia. (1) Economically, Taiwan's growth rate averaged 7 to 8 percent in the 1970s, 1980s, and 1990s. The gap between the rich and the poor, or the income disparity ratio, dropped from 15:1 in 1952 to 4.69:1 in 1987, although it rose a little to 5.5:1 in the mid-1990s. (2) Taiwan's GNP per capita increased from roughly U.S. $50 in 1950 to U.S. $13,325 in 2000.The island's unemployment rate has been kept low, at an average of 2 percent in the last five decades, despite its recent rise to almost 5 percent in mid-2001. Taiwan did not have significant foreign reserves prior to 1960, but because of rapid growth in exports, Taiwan's foreign reserves increased from less than U.S.$1 billion in 1973, to U.S.$73 billion in 1989, to almost U.S.$100 billion in the mid-1990s. (3) With those shining macroeconomic figures, Taiwan's description as an economic miracle is "hardly an over- statement." (4) Under the rule of martial law from 1947 to 1987, Taiwan's political transition is another unique case in the Third World. Taiwan was given back to the government of the Republic of China (ROC) at the end of World War II in August 1945, and since then Taiwan has been under the ROC's administration. Defeated by the Chinese Communists, President Chiang Kai-shek led the ROC government to move its seat to Taiwan in December 1949. After that the military, under Chiang's paramount leadership, was a dominant force in Taiwan's politics until his death in April 1975. Despite the martial-law regime, people in Taiwan began to practice direct elections at the local level in the early 1950s, creating a foundation for Taiwan's later democratization. Taiwanese political participation was expanded to the national level in December 1969, when eleven legislators to the Legislative Yuan and fifteen delegates to the National Assembly were directly elected by the people in the Taiwan area. In July 1987, President Chiang Ching-kuo, son of Chiang Kai-shek, lifted martial law, initiating Taiwan's political liberalization and democratization. Afterward, the prohibition on forming political parties and the ban on the freedoms of speech, publication, association, and assembly were also relaxed. In January 1988, Taiwan experienced a successful political transition when Lee Teng-hui, a native Taiwanese, succeeded Chiang Ching-kuo as the president of the ROC. (5) The Taiwanese experienced political participation at the national level when they participated in electing all members of the National Assembly and Legislative Yuan in December 1991 and again in December 1992. In May 1996, based on the newly revised constitution, Lee Teng-hui became the first directly elected president of the ROC. In May 2000, Lee handed his presidency over to Chen Shui-bien, the first nonKuomintang (KMT) member to become the ROC's president. With those smooth political changes, Taiwan has without a doubt achieved the transformation from an authoritarian regime to a consolidated democracy. (6) Southeast Asian countries shared some political and economic similarities with Taiwan in the 1950s, but the level of Taiwan's development in the 1990s has gone far beyond that of most countries in Southeast Asia. What are the differences between Taiwan's regime transformation and those of other Southeast Asian countries, the island's neighbors? As they enter the new century, can Southeast Asian countries learn some lessons from Taiwan and make progress similar to Taiwan's during the last five decades? These are the major questions I will explore in this article. I argue that Burma, Thailand, Laos, Cambodia, Vietnam, Malaysia, Indonesia, Brunei, the Philippines, and Singapore differ from Taiwan in the process of the transformation of their political regimes. Burdened with sustained internal difficulties and problems, most Southeast Asian countries have little opportunity to reach the level of Taiwan's current political and economic development, at least not in the near future. In this article I will first investigate characteristics of regime transformation in Taiwan, showing the foundation of Taiwan's polity in the last five decades. I will analyze the political economy of Taiwan's transformation, associated with Taiwan's economic growth rate and GNP per capita. I will then explore characteristics of the transformation of Southeast Asia's regimes, in spite of difficulties in making generalizations about the region. Similarly, I will analyze the political economy of Southeast Asia's transformation in connection with the economic growth rate and GNP per capita in each country. I will conclude the article by indicating different pathways to the transformation of regimes between Taiwan and Southeast Asia and by commenting on some implications. Regardless of those factors, the regime transformation in Taiwan could be characterized by the following four aspects: priorities (from stability to economy), elections (from the local level to the national level), legitimacy (from the ROC to the ROC on Taiwan), and the military (from dominance to professionalism). Stability is certainly interconnected with security; one would not be possible without the other. There are three variables behind Taiwan's early stability. The first is strong leadership under Chiang Kai-shek, who had been China's leader since the death of Sun Yat-sen in 1925. Chiang Kai-shek inherited the legitimacy of the ROC government when he was elected as the first president of the ROC in 1947. Due to his long record of military leadership since the mid-1920s, Chiang became a paramount leader in Taiwan, in spite of his defeat to the Chinese Communists in late 1949. Most generals in the military and high-level officials in the government were actually vetted through Chiang's patron-client relationships. Nobody could really replace him when the ROC moved its seat of government to Taiwan, despite his resignation in early 1949 prior to the downfall of the mainland to the Chinese Communists. With most strategic groups in Taiwan calling for his return, Chiang Kai-shek resumed the presidency in early 1950 and continued to serve in the post until his death in April 1975. Without his strong leadership, it is doubtful that Taiwan could have endured the difficult times of the 1950s and 1960s. The practice of martial law was the second factor in Taiwan's stability. When the ROC government officially declared martial law in 1947 because of the revolt of the Chinese Communists on the mainland, Taiwan, as a province of the ROC, was under the martial law jurisdiction. The ruling government was then authorized to restrict civil rights. Political parties were not allowed to be formed, and the political freedoms of speech, publication, and assembly were under the government's strict censorship. On the one hand, security police and the military were used to maintain Taiwan's security, as claimed by the government, but they were also used as a tool to crush the opposition movement. Taiwan experienced economic growth and political stability throughout the 1960s and 1970s, but martial law was still in effect until July 1987. Martial law was credited for Taiwan's stability, but it also contributed to the authoritarianism of the KMT regime in Taiwan.The KMT was a third variable contributing to Taiwan's early stability. Since the ROC moved its seat of government to Taiwan in late 1949, the KMT was Taiwan's ruling and dominant party until May 2000. (9) With extraordinary control over the Legislative Yuan, the National Assembly, and the Executive Yuan, the KMT pretty much overlapped with the ROC government. Policies of the KMT were actually policies of the ROC government because the Standing Committee of the KMT usually approved the party's policies before their implementation by government officials. That phenomenon also applied to high-level positions in the government because all appointments of important personnel in the government, including cabinet ministers, were first to be approved by the Standing Committee of the KMT. The dominant political party in Taiwan throughout the second half of the twentieth century, the KMT was credited with maintaining Taiwan's stability, despite its authoritarian rule. As Taiwan became more stable and retaking the mainland became unattainable, the KMT government began to place more emphasis on Taiwan's economic development in the early 1970s. The watershed year was 1972, when Chiang Ching-kuo became the premier of the ROC. As Taiwan was facing an energy crisis in the early 1970s, Chiang announced the Twelve Major Construction Projects (e.g., the North-South Highway, the China Steel Corporation, the China Shipping Corporation, expansion of the Taipei International Airport, etc. ), laying the foundation for Taiwan's modernization and industrialization in the 1980s and 1990s. With stimulation from public investment and programs of economic liberalization and globalization, foreign and domestic investors kept pouring capital into Taiwan's economic development. Those policies were a significant factor behind Taiwan's shining macroeconomic figures, mentioned earlier. The ROC government did not have the opportunity to allow mass electoral participation on the mainland because of the internal split by warlords in the 1920s, Japan's invasion of China in the 1930s, and the Communist revolt in the late 1940s. The lack of mass participation was one of the key factors in the loss of the Nationalist government to the Chinese Communists in 1949. Taiwan is different from the mainland because it held local elections in certain parts of the island after returning to the ROC government at the end of World War II. When the ROC moved its seat of government to Taiwan in late 1949, the Nationalist government began to implement mass democracy. That became possible especially after the United States offered security guarantees to Taiwan, thereby ensuring a secure environment to build institutions and hold elections. (10)The ROC started holding regular and periodic local elections in Taiwan in 1950, which was a vital foundation of Taiwan's later democratization. In 1950, local elections were held for city and county councilors and for mayors and magistrates in five cities and sixteen counties, and since then local elections at the city, county, village, and township levels have been held periodically. In December 1951, Taiwan held the first island-wide election for the Taiwan Interim Provincial Senate, which was transformed into the Taiwan Provincial Assembly in April 1957. Since then, elections for the Taiwan Provincial Assembly were held at regular intervals until it was downsized in December 1998. (11) Taiwanese voters enjoyed the freedom to choose desired candidates through the elections, despite the dominance of the KMT government through the first three decades after 1949. In December 1969, the KMT government allowed Taiwan's citizens to expand their participation at the national level for the first time when fifteen delegates to the National Assembly and eleven legislators to the Legislative Yuan were directly elected by the people in Taiwan. Taiwanese political participation was further extended when twenty-eight legislators and thirty-six National Assembly delegates were directly elected during the supplementary elections in December 1972. The Taiwanese fully achieved political participation at the national level when the ROC government held the first full-house election of the National Assembly in December 1991 and a general election of the Legislative Yuan in December 1992. Although the KMT's support dropped to 53 percent of the votes in the December 1992 general elections, that development has been politically significant for Taiwan's democratization. In March 1996, Taiwanese citizens directly elected Lee Teng-hui as the president of the ROC, the first time ever that the ROC's head of the state was directly elected by the people in Taiwan. The ROC government gained its legitimacy from the 1947 general elections on the mainland, but that legitimacy met challenges after its moving to Taiwan. The key issue was that the central government of the ROC in Taipei did not fully represent the people in Taiwan, mainly because its ruling leaders were mostly from the mainland. The challenge to legitimacy became more popularly acknowledged following Taiwan's gradual democratization and the rise of the opposition. Since the early 1970s, the issue of legitimacy has been placed on the agenda of the opposition during elections, although it was strictly censored under the martial law government. The KMT government was certainly reluctant to face the issue of legitimacy in the beginning but finally decided to deal with it, thanks partially to Taiwan's economic achievement, which nurtured confidence in the ruling KMT. The first step to gaining legitimacy in Taiwan was to expand the political participation of Taiwanese citizens at the national level, a process that began in December 1969, as analyzed earlier. In the next twenty years or so, the ruling government was gradually transformed from the ROC to the ROC on Taiwan by expanding Taiwanese political participation at the national level. The legitimacy of the ROC on Taiwan was completely confirmed in December 1994 when Taiwan's citizens went to the voting booth to directly elect the Taiwan provincial governor, the mayor of Taipei, and the mayor of Kaohsiung. Previously, those three key executives were appointed by the central government because districts were not treated as autonomous governments during the period of martial law. The KMT performed quite well by winning the seats of Taiwan governor and Kaohsiung city mayor, while Chen Shui-bian became the first Democratic Progressive Party (DPP) candidate to win the election to become the mayor of Taipei. (12) When Taiwan enjoyed a direct presidential election in March 1996, it was widely accepted that the ROC government consolidated its full legitimacy in Taiwan. In addition, constitutional reform was also crucial for the ROC government to gain legitimacy in Taiwan. (13) In December 1946, the National Assembly on the mainland approved the ROC constitution, which was designed on a scale for the whole of China, including Taiwan. As the ROC government continues to have its seat of power in Taiwan, the constitution faces certain challenges, including how to apply the China-oriented constitution to meet the changing political economy in Taiwan. With sustained criticism from the opposition, the ruling KMT finally decided to revise the constitution, amending it five times during the 1990s. The first revision was done in early 1991; it abolished the law Temporary Provisions and ended the tenure of legislators of the Legislative Yuan and delegates of the National Assembly elected on the mainland in 1947. The second revision was passed in May 1992. One of the major amendments that time designated that the ROC president and delegates of the National Assembly are to be elected every four years. With ten amendments, the third constitutional revision of July 1994, among other things, gave more power to the president because of the elimination of the premier's power to countersign presidential appointments and dismissals.The fourth constitutional revision in 1996 was surrounded by political conspiracy, however. Starting in the early 1990s, the KMT was involved in a big dispute between the Mainstream faction, led by President Lee Teng-hui, and the Non-Mainstream faction, led by several key mainland-born politicians, such as Lee Huan, Hau Poh-tsun, and later former Taiwan governor James Soong. (14) By the mid-1990s, Soong had become one of the most popular political figures in Taiwan, which threatened President Lee's leadership. The KMT Mainstream faction, mostly native Taiwanese, had a plan to remove James Soong's position from both the KMT and the government. With support from the DPP, the KMT initiated the fourth constitutional revision in 1996, which downsized the Taiwan provincial government. That meant that there would be no more direct elections for Taiwan's governor after December 1998, eliminating Soong's possible victory in the election and cutting off Soong's increasing political influence.The fifth spate of constitutional amendments, approved in early May 2000, shared a similarity with the fourth revision because of the involvement of political manipulation. Nevertheless, constitutional reforms have indicated that procedures to produce an elected government and legislators have been popularly approved by the great majority in Taiwan, thereby helping the ROC government to gain political legitimacy on the island.The Military: From Dominance to ProfessionalismThe military's dominance in politics is common in the Third World, especially in Latin America and Southeast Asia. Taiwan was no exception prior to the 1970s, mainly because the military was empowered to intervene in politics with the practice of martial law. In the KMT Standing Committee, for example, members with military backgrounds usually took one-third of the seats, providing legitimacy for the military's voice in the decision-making process. Prior to the mid-1970s, the Taiwanese governor was always from the military, allowing the military to control local politics. Also, retired generals had privileges in finding high-level positions in the government, taking such jobs as Taiwan's chief commissioner of the police bureau or director of the Kaohsiung Harbor, Taiwan's largest harbor and the world's third-largest cargo harbor. In addition, retired military officers were authorized to find jobs in the government after passing a much less competitive examination, specifically arranged for retired military officers to become civil servants. Things have changed since the mid-1970s, however. The military is no longer a dominant force in Taiwan because of a series of military professionalization programs.The first program of military reform specified the parameters of the military profession, which meant that soldiers were to be soldiers. The KMT government began to reduce the role of the military in civilian affairs. The proportion of the military in the KMT Standing Committee was gradually reduced from roughly one-third prior to the 1970s to less than one-seventh in the mid-1990s. The governor of Taiwan has been a civilian since the mid-1970s, and retired military generals have no more advantages in becoming high-level government officials. In addition to the Department of Defense, all high-level government posts are now under the leadership of either civilians or political appointees. With those changes, the military in Taiwan now serves as an interest group similar to those in most Western countries. Second, the ROC government, having struggled with the internal division brought on by several warlords on the mainland, began to implement a regular turnover of posts and terms of military officers, which started quite early in Taiwan, in the early 1960s. With this reform, a military officer is not allowed to serve in one post more than three years and cannot serve in one place more than three years, either. Although there have been some exceptions, that policy has generally been strictly implemented since the early 1960s. The immediate advantage of the policy is to prevent military officers from becoming local warlords. It also avoids the military's possible involvement in local politics. Finally, since the lifting of martial law in July 1987, the military has no longer been authorized to intervene in civilian affairs. When Lee Teng-hui succeeded Chiang Ching-kuo as the ROC's president in January 1988, some Taiwanese still had some worries about a possible military intervention or military coup. But now, with regular elections and the successful political transition from Lee to Chen Shui-bian in May 2000, few Taiwanese worry about military intervention in Taiwan's politics, simply because the military has become a profession in Taiwan. The political economy of regime transformation in Taiwan can be divided into four phases, which are generally based on the tenures of the last four ROC presidents. The first was under the authoritarian dominance of President Chiang Kai-shek from 1949 to 1972. (17) The second phase of semi-democracy was from 1972 to 1988, under Chiang Ching-kuo's rule. The third phase manifested Taiwan's democratic transition with Lee Teng-hui's assuming the ROC's presidency in January 1988 and the implementation of political reforms afterward. The fourth phase of democratic consolidation began in May 1996, when Lee became the first directly elected president of the ROC. To examine Taiwan's political transformation, four indicators are used: (a) competitiveness of elections, (b) openness of political freedoms, (c) formation of political parties, and (d) institutionalization of procedures generally accepted by major strategic groups.Taiwan's political transformation will be linked to two economic indicators: GNP per capita and economic growth rate. There are, of course, other indicators to show a nation's economic strength, such as foreign reserves, volume of foreign trade, and gross national product, but those indexes are easily misinterpreted due to the variation of each country. GNP per capita, on the other hand, is a comprehensive indicator showing a nation's economic strength, mainly because it represents a combination of several factors, including population, inflation, fluctuation of currency, and so on. Economic growth rate is also crucial because it shows a nation's economic performance. By putting those two indicators together, it will be easy to assess the wealth of ordinary citizens and the progress of each country's economy. To compare Taiwan and Southeast Asia, I will similarly use the indicators to examine countries in Southeast Asia.Authoritarianism (1949-72)During the first twenty years of the ROC government on Taiwan, the island was strictly under the control of an authoritarian regime, empowered by the practice of martial law. Political parties were not allowed to form, although there were two opposition parties, which were friendly to the ruling KMT and were financially assisted by the KMT. There were strict restrictions on several political freedoms, such as speech, publication, and assembly. Certainly, a more serious problem was the issue of the ROC's legitimacy in Taiwan, mainly because procedures to produce executives and legislators did not involve full Taiwanese participation. As discussed, the most significant credit to the KMT government was its implementing periodic elections at the local level in 1950. Since then, local elections have been held regularly, although they were overwhelmingly dominated by the ruling KMT in the first three decades after 1949. It is understood that Taiwan's economy did not perform well during the 1950s, with roughly U.S. $50 GNP per capita in 1950. After the fall of the mainland to the Chinese Communists in 1949, Taiwan was in a very critical situation. By June 1949, the wholesale price index had already increased to 5,599 times the 1945 figure. (18) Thanks to the U.S. decision to defend Taiwan and its economic aid to Taiwan after the Korean War broke out in 1950, Taiwan began to stabilize, politically and economically. Taiwan's politics turned a new page when Chiang Ching-kuo became the ROC's premier in 1972; he was key in implementing political reforms in Taiwan. Actually, Taiwan's political change started in December 1969 when eleven members of the Legislative Yuan and fifteen delegates to the National Assembly were directly elected by the people in Taiwan. This marked the expansion of Taiwanese political participation at the national level and the beginning of Taiwan's political reforms. Chiang Ching-kuo gradually relaxed controls on civil rights and political freedoms in spite of the practice of martial law.In November 1977, the "Chungli incident" occurred in response to rumors of election irregularities. It was the first time that civilians used violence against the powerful Kuomintang government, and dozens of people were injured. The KMT government in the beginning restricted reports about the incident, but later it relaxed censorship of the mass media's reporting on the Chungli incident. The 1977 incident in Chungli certainly marked the rise of growing opposition in Taiwan, challenging the martial law government. Chiang Ching-kuo responded to sustained political and economic changes in Taiwan by allowing more political liberalization. In June 1979, the United Office of Popularly Elected Tangwai (non-KMT) Officials, a political party-like organization, was born. Two months later in August 1979, the Journal of Formosa was also established, a monthly periodical to represent the voices of the Tangwai people. In September 1986, the Democratic Progressive Party, the first opposition party, was officially established. The growth of Taiwan's opposition movement was possible because of, among other factors, further political liberalization and democratization led by President Chiang Ching-kuo in the 1970s and 1980s. (19) Supplementary elections for the Legislative Yuan and the National Assembly, for instance, continued to be held during those two decades, expanding Taiwanese political participation at the national level. In the early 1980s, elections in Taiwan also became more competitive, upgrading the level of Taiwan's political democratization. In the 1980 general elections for the Legislative Yuan, for example, the ruling KMT won 72 percent of the total votes, whereas Tangwai grabbed 13 percent of the votes in the Legislative Yuan and independent candidates obtained the remaining 15 percent of the votes. But in the 1986 legislative elections, the share of the votes for the KMT and the DPP was 64 percent and 24 percent, respectively. (20)One more political change during the Chiang Ching-kuo era was the lifting of martial law on 15 July 1987, opening a new chapter for Taiwan's political democratization. On 1 January 1988, restrictions on newspapers were removed, thereby allowing complete autonomy for the mass media. On 11 January 1988, the Legislative Yuan passed the third version of the Law on Assembly and Parades, allowing ordinary citizen to hold public rallies after having applications approved. With the above political changes in Taiwan, the island was designated as only semi-democratic because of the deficient legitimacy of the ROC on Taiwan and the lack of a political transition from mainland leaders to native Taiwanese. Taiwan's economic performance during the Chiang Ching-kuo era was also very impressive. In spite of two global energy crises in the 1970s, Taiwan's economy continued to grow as a result of several important policies, including the expansion of public investment through the Twelve Major Construction Projects implemented during the 1970s, which laid the foundation for basic infrastructure and the development of heavy industries. In 1981, the Hsinchu Science Industrial Park was established, boosting Taiwan's industrial development. More important, in 1984 the ROC government announced plans for economic liberalization and internationalization as well as the privatization of state-run enterprises, thus encouraging the expansion of investment and small- and medium-sized enterprises. One more significant political change in Taiwan in the 1990s was the direct election of the president of the ROC in mid-March 1996. With the support of 54 percent of Taiwan's citizens, Lee Teng-hui became the first directly elected head of state in Taiwan, witnessing the beginning of the consolidation of democracy on the island.During that period, Taiwan also achieved political democratization by relaxing restrictions on all civil rights and political freedoms. Taiwan now has more than ninety registered political parties, only four of which have representatives in the Legislative Yuan. Taiwanese citizens are now allowed to organize public rallies after applying for a permit, and the mass media is now free of government censorship. With five constitutional amendments during the 1990s, procedures to produce an elected government have been generally accepted by the major strategic political groups in Taiwan. In 1996, the output of the heavy industry rose to 68.15 percent, while the share of light industries dropped to 31.85 percent. That trend was similarly reflected in the share of the exports of heavy chemical and technology-intensive industries in Taiwan's entire export value, which rose from 57.2 percent in 1987 to 71.3 percent in 1996. (27) During the first half of the 1990s, Taiwan's economic growth rate averaged 6.2 percent, increasing Taiwan's GNP per capita from U.S.$8,111 in 1990 to U.S.$11,597 in 1996. Since May 1996, Taiwan's political democracy has generally been consolidated. As for political parties, the KMT is no longer a major player in Taiwan's politics despite President Lee's landslide victory in the 1996 presidential election. The non-KMT forces are growing, especially since the 1997 general elections for city mayors and county magistrates. During that election, the KMT's share of the winning votes dropped to 42 percent over eight cities and counties, whereas the DPP grabbed 43 percent of the votes by taking twelve city mayoral and county magistrate positions. (28) This is the first time that the KMT lost dominance in the local elections, although it is still the majority party in most city and county councils. Furthermore, the KMT lost the presidency in the March 2000 presidential election, ushering in Taiwan's first political turnover in a nationwide election. Because of the political reshuffling after the March 2000 presidential election, Taiwan now has four major political parties, namely, the KMT, the DPP, the New Party, and the People's First Party. (29)As the non-KMT forces grow, elections in Taiwan have become more competitive than ever. In the March 2000 presidential election, for example, Chen's winning percentage of the votes was 39.3 percent, only 3 percent over that of the popular former Taiwan governor James C. Y. Soong (36.4 percent). Regarding the openness of political freedoms, the ruling government no longer has a mandate to restrict people's civil rights and such political freedoms as those of speech, publication, and assembly. As for procedures for acquiring elected executives and legislators, major strategic and grassroots groups in Taiwan have few disputes over the political process. The National Assembly, for instance, revised the ROC constitution twice in 1996 and 2000, in spite of the involvement of political attempts as mentioned earlier. Taiwan's politics entered a new chapter when Chen Shui-bian was sworn in as the tenth ROC president on 20 May 2000. Having gone through a very competitive election, Chen became the first non-KMT politician to be the head of state in Taiwan, witnessing the island's democratic consolidation.Taiwan's economy has continued to concentrate on heavy chemical and technology-intensive industries since 1996, while service sectors and information industries are also growing. The share of heavy chemical and technology-intensive industries in Taiwan's export value rose to 76.1 percent in 1999. Yet, with expanding economic liberalization and globalization, Taiwan's economy is integrating with other economies in the region. As the regional economy meshes into one, a single incident can trigger a chain reaction. For instance, Taiwan's economy was affected by the financial crisis of 1997, although the damage was insignificant compared with that of other Asian countries such as South Korea, Malaysia, Thailand, and Indonesia. Taiwan's GNP per capita in 2000 reached U.S.$13,325 despite Taiwan's economic slowdown since early 2001. The political economy of Taiwan's transformation is demonstrated in Table 1. Southeast Asian countries vary in size, culture, race, language, and even development experience. The mainland of Southeast Asia, including Burma, Thailand, Laos, Cambodia, and Vietnam, is famous for its Buddhist tradition, whereas island Southeast Asia (e.g., Malaysia, Indonesia, and Brunei) is noted for its Islamic religion and cultures. The Philippines is a predominantly Catholic society, whereas Singapore distinguishes itself with religious and cultural pluralism. Indonesia is the largest country, with more than 220 million people, compared with Brunei, the smallest country with only about three hundred thousand. Malaysia is composed of three different ethnic groups, but Indonesia is currently troubled with secessionist movements in Ache and Irian Jaya.Given those variances, it is difficult to generalize about the characteristics of regimes in Southeast Asia. With the changes in Southeast Asian countries in the last fifty years, it is even more difficult to spell out similarities among the countries. Yet Southeast Asian countries do share some enduring things in common. Despite the differences in colonial history, the process of gaining independence, political institutions, and party systems in Southeast Asia, three major issues have existed in the region for years and are also embodied, regardless of political changes, in characteristics of political regimes in Southeast Asia. Patronage politics means a network of personalized relationships, also known as patron-client relationships, that manipulates the operation of public affairs. The more layers in his network of patron-client relationships, the more political influence one politician can generate. A well-organized network of patron-client relationships directs and influences politics in Southeast Asia from the central government to the local governments, including cities, towns, and villages.Things are managed more easily and more efficiently when patronage politics are involved. The negative side, however, is that politics and public affairs are easily manipulated or misused, thereby diminishing the performance of the ruling government. Indonesia and the Philippines are two countries in Southeast Asia with a long history of patronage politics, especially during the Suharto era and the Marcos era, respectively. A great number of studies have been done on patron-client relationships in Indonesia, the Philippines, Thailand, and Malaysia. (30) Countries such as Vietnam, Burma, Laos, and Cambodia are also deeply involved in patronage politics, but few studies have been done in those countries because of limited materials and information. In military-controlled Burma, patronage politics also decides one's status and promotion in the bureaucracy. Because of his close connection with General Ne Win, General Sein Lwin succeeded Ne Win as Burma's leader in July 1988, in spite of his order to use arms to suppress unarmed student demonstrations in March 1999. (39) Until now, Burmese military leaders have mostly arisen from Ne Win's patron-client relationships. Governance refers to the quality and efficiency of the ruling government. Good governance inspires confidence and responsibility in the grassroots, thereby fostering social stability and sustainable development. Conversely, the ruling government loses legitimacy and support from the masses if its governance is poor or unsatisfying to the great majority. The problem of poor governance, unfortunately, has existed in Southeast Asia for years. According to a recent report from the Political and Economic Risk Consultancy, Vietnam, Indonesia, Thailand, and the Philippines are ranked the worst on the degree of effective governance in Asia, whereas Singapore, Hong Kong, and Australia are the best. (40) Malaysia, together with Taiwan, South Korea, and Japan, fall in the middle. The rest of the Southeast Asian countries, including Burma, Cambodia, Laos, and Brunei, were not studied because of the lack of reliable materials and information. The degree of effective governance can be judged by the government's transparency and corruption, which are actually two sides of the same coin. Transparency makes visible the ruling government's process of making public policies, whereas corruption reflects the reality of operating public affairs in the bureaucracy. The problem of corruption could be reduced should transparency be institutionalized. Conversely, corruption could become worse if transparency is weak in a nation-state. The most serious consequence of corruption is its holding back of development, mainly because of the misuse of public resources by the bureaucracy in both the central and local governments. Unfortunately, the corruption of a bureaucracy largely results from a weak degree of transparency. Chengtian Kuo also pointed out the importance of transparency to economic recovery after having examined the financial politics in Thailand and Malaysia. (43)The issue of corruption has been a popular topic in the study of Southeast Asia's political and economic development. A great deal of literature has explored the issue of corruption in the Third World in general and in Southeast Asia in particular, simply because corruption has existed for years in developing countries. The worst phenomenon is that the problem of corruption in the Third World seems not to have been alleviated years after their independence. Southeast Asian countries, of course, are not exceptions, especially after their open-door policies for foreign investments were initiated. Some countries even set up anticorruption agencies at the highest executive levels of government, but corruption is still there and, to some extent, even becomes worse because the agencies are also corrupt. The Indonesian government, for example, has initiated strong measures to tackle corruption, but it is still ranked by the Political and Economic Risk Consultancy as among the worst in effective governance in Asia because of its problem with corruption. (44)The central problem of corruption is the corrupt network in the bureaucracy; all levels of the government are involved with corruption, and many government officials are actually interconnected with corruption. This is true not only in Indonesia, as reported in the Van Zorge II Report, but also in most of the other countries in Southeast Asia. In Indonesia, corruption can even be found, among other government agencies, in the judicial system. (45) In Cambodia, corruption is similarly widespread, as confessed by Cambodia's prime minister Hun Sen in a recent interview: "I admit that there is corruption in Cambodia. We have been cracking down on corruption in the army, in the police and in the administration because there has been what we call ghost soldiers, ghost police and ghost officials." (46) In short, most Southeast Asian countries have been criticized for corruption and lack of transparency for years, and those two problems, while resulting in poor governance, are not likely to be alleviated in the near future. Southeast Asia's economies did not perform well during the second half of the twentieth century, compared to those of Taiwan, South Korea, and Hong Kong. Singapore, of course, is an exception. In the early 1950s, Southeast Asia shared similar levels of economic development with Taiwan by having an average GNP per capita of around U.S. $50. Some countries in Southeast Asia, such as the Philippines, probably enjoyed better economic performance than Taiwan because of their economic linkages with previous colonial powers such as the United States. Southeast Asian countries did achieve some economic growth in the last five decades, especially during the first half of the 1990s, because of open-door policies, although they differed from country to country. Infrastructure has improved and ordinary citizens have upgraded their living standards. Unfortunately, the level of Southeast Asia's economies falls far behind that of Taiwan at the turn of the century. As the Taiwanese enjoyed more than U.S.$13,000 GNP per capita in the year 2000, people had a GNP per capita of roughly U.S.$300 in Burma, Laos, Cambodia, and Vietnam, U.S.$1,000 in Indonesia and the Philippines, and U.S.$3,000 in Thailand and Malaysia. Although Indonesia is the largest overseas market for Mercedes Benz, tens of thousands of ordinary Indonesians take buses that pollute the air with thick exhaust. (48) In downtown Jakarta, as well-dressed people walk into fine restaurants and five-star hotels, beggars with filthy clothes can be found just meters away on the streets. This can be seen in most other Southeast Asian countries, such as Vietnam, Cambodia, Laos, Burma, and the Philippines. Poverty is one side of the coin, and economic inequity is an even more serious problem on the other. After World War II, Southeast Asian countries experienced different processes of gaining independence from previous colonial powers. Indonesia obtained full autonomy and independence in late 1949 when the Netherlands left the Muslim country, whereas the three countries of Indochina, namely, Vietnam, Laos, and Cambodia, (49) were finally unified by the Communists in mid-1975 after a prolonged struggle with internal division and external wars. (50) Malaysia, Singapore, and Brunei were lucky to gain independence without the involvement of either civil wars or external wars, although they all differed in their timing and experience of gaining independence. (51) Burma, also a former British colony since April 1897, was allowed to declare its independence on 4 January 1948 after prolonged negotiations with the British Empire. The Philippines peacefully obtained its independence on 4 July 1946. Thailand is the only country in Southeast Asia that has never been colonized by Western powers. Judging from the four indicators mentioned earlier (competitiveness of elections, openness of political freedoms, formation of political parties, and popularly acknowledged procedures to govern), Southeast Asian countries, in terms of transformation in the types of political regimes they have, can be categorized into four groups. To compare with the level of economic development, two economic indicators, GNP per capita and economic growth rate, are also linked to the regime changes in Southeast Asia. Indonesia and the Philippines were under authoritarian rule for some years, but they have been implementing democratization since the end of authoritarianism. The Philippines was transformed from a democratic to an authoritarian regime during the Marcos era, from September 1972 to February 1986, whereas Indonesia was dominated by military authoritarianism from March 1967 to May 1998, when Suharto ended his presidency. (52) During the period of authoritarian rule, elections were not periodically held in the Philippines, whereas the Indonesian government strictly dominated elections, thereby making them less competitive. The ruling governments in both countries restricted civil rights and political freedoms. Ordinary citizens, for example, were not allowed to freely publish and organize public rallies. It was widely acknowledged that the ruling governments in Indonesia and the Philippines often intimidated opposition leaders. (53)Indonesians and Filipinos were not allowed to form new political parties during Suharto's and Marcos's rule. Opposition parties in Indonesia were forced to merge into two parties in the mid-1970s, the Development Unity Party and the Indonesian Democratic Party; political parties were banned during the martial law period in the Philippines. (54) Because of the authoritarian rule, procedures to elect executives and legislators were not generally accepted by major strategic groups; that was a key factor in bringing about constitutional amendments in the two countries after the end of authoritarianism. The Philippines and Indonesia have not yet been designated consolidated democracies, however, mainly because politics in the two countries are still not stable. Although the People's Power revolution made Gloria Arroyo the Philippines' new president in January 2000, the populist movement was neither institutional nor constitutional. (58) It is true that Arroyo assumed her presidency in front of the Supreme Court judges of the Philippines, who have made her presidency constitutional, but it was not an institutional way to bring about political transition, especially for the transition of the head of state. In the case of Indonesia, this newly formed democracy has experienced political instability because of President Wahid's poor performance and his transition to Megawati Sukarnoputri; the country needs more time to implement democratization before becoming a consolidated democracy. The political economy of transformation in Indonesia and the Philippines is shown in Table 2. Singapore and Malaysia share relatively similar regime types. Since Singapore became independent in August 1965, elections have been periodically held, as they have been in Malaysia. Both countries also have relatively competitive elections, mainly because opposition parties have opportunities to share political power at both the local and national levels. In Malaysia, for instance, the number of seats held by the ruling National Front in the parliament fluctuated from 127 in 1990 to 162 in 1995 to 148 in 1999, despite its dominance of three-fourths of the seats in the parliament in most general elections. Singapore's ruling People's Action Party always took more than 90 percent of the seats in the parliament, although its winning percentage of the votes has shown a decline from 84.4 percent in 1968 to 75.6 percent in 1980 to 64.9 percent in 1997. (59) In addition, both Singapore and Malaysia, in spite of the dominance of the ruling parties, have a popularly honored constitution, which regulates procedures for electing executives and legislators. Certainly, foreign mass media in the two countries are also under government censorship. (62)With relatively competitive elections, popularly esteemed constitutions, and the formation of political parties, both Singapore and Malaysia so far have not made any attempts to relax their controls over internal security in the new millenium. (63) D. K. Emerson even argues that the degree of freedom in Malaysia after the financial crisis has declined, while Thailand and Indonesia have improved the degree of freedom. (64) That is why Singapore and Malaysia, although they have experienced democratic transitions, are not designated consolidated democracies (see Table 3). Prior to national unification, Vietnam, Laos, and Cambodia struggled with either internal splits or civil wars; thus their regimes were, in general, authoritarian, despite some elections being held. From 1975 to 1987, the three countries of Indochina were under strict communist rule, designating them as totalitarian. The regimes were similar to Burma's military rule during the period of General Ne Win's dominance from 1962 to 1988. Except for the ruling parties, other political parties were not allowed to form. There were no elections in the four countries, either; all executives and legislators got their positions either by appointment or through the ruling party-controlled voting process. Because of the overwhelming dominance by the ruling parties, there were no popularly respected and well-defined laws and procedures for executives and legislators to follow, in spite of the existence of constitutions in all four countries.Things have changed a little since the end of the 1980s with the implementation of an open-door policy, which has transformed totalitarian regimes into authoritarian ones. Vietnam was the first of the four countries to open its door to the world at the end of 1986, followed by Laos, Burma, and Cambodia. Nevertheless, despite the political reforms in those countries, they have retained a similar authoritarian nature at the turn of the new century. In Burma, the military government, under internal and external pressure, allowed political parties to form mad held general elections in May 1990, but, unfortunately, the result of the election was later rejected by the military. (68) Parliament was dissolved and political parties banned, and the Burmese military regime continues to exercise strict restrictions on civilian political rights and freedoms. Burmese are not even allowed to talk about politics in public, for example, nor do they have freedom of press, publication, and public rallies. The Burmese military is actually the only institution functioning in the Buddhist country, making Burma the most totalitarian regime in the region. The regime of the Muslim nation-state of Brunei is not very different from those in the above four countries despite the higher income in the oil-rich country. After a failed coup in December 1962, the royal Brunei government banned all elections, political parties, and organized political activities. The ruling government also executes strict censorship of the mass media, closing down all independent publications and broadcasting networks that are against the ruling sultan and the royal government. Royal family members actually take key government positions, such as cabinet ministers, in Brunei. As a result, political opposition has little space to survive. It is in that way that the royal family maintains authoritarian rules in Brunei (see table 4). Thailand is singled out from other Southeast Asian countries because it is uniquely varied from the rest of file region. Thailand was under military rule for almost sixty years, from 1932 to 1992, due to numerous military coups. (69) Prior to February 1980, the polity of Thailand, with its restrictions on political freedoms and its military-dominated executive and legislative, was no doubt authoritarian. When Prem Tinsulanond served as prime minister from February 1980 to July 1988, Thailand was transformed into a semidemocratic polity. (70) The ruling government relaxed restrictions on the mass media and political freedoms, and elections were regularly held in spite of two abortive coups in April 1981 and September 1985.Thailand was proud of its democratic transition from Prem to Chaichai Choonhavan after the July 1988 general elections, the first time ever that Thailand produced an elected government. Unfortunately, General Suchinda Kraprayoon surprised the world by overthrowing Prime Minister Chaichai in the February 1991 military coup. That certainly damaged Thailand's political democratization. Suchinda was finally forced to step down after a bloody crackdown on unarmed demonstrators in May 1992. (71) Since then, Thailand has been undergoing a series of political reforms by way of constitutional amendments, which were implemented in January 1995 and October 1997. The most important achievement of the two constitutional amendments is to curtail military involvement in Thai politics. According to the 1997 amendments, for instance, the two hundred senators and all local executives are now to be elected directly by Thai citizens; the legislators, most of whom were from the military, were previously appointed by the prime minister. The military is certainly not satisfied with those constitutional changes, but they are not able to resist the development of democratization in Thailand. Since May 1992, Thailand has been immune from military coups. That does not guarantee ongoing, peaceful democratization; it simply means an improvement in the Thai polity (see Table 5). Taiwan and Southeast Asia are very different in the characteristics of their political regimes and the political economy of the transformation of their political regimes, as demonstrated in this article. Several implications are to be inferred. First, a change in type of regime is not necessarily connected with economic development. In the case of Taiwan, it is true that the transformation of the political regime is associated with the island's economic growth, but that does not apply to Southeast Asian countries. Singapore's record of economic achievement is better than that of Taiwan, but the city-state still maintains restrictions on several political freedoms. Thailand and the Philippines have experienced democratic transitions for some years, but the level of their economic development falls behind that of Taiwan, not to mention that of Indonesia in its democratic transition. Even when Taiwan was under military rule throughout the 1950s, 1960s, and 1970s, the island's economy kept growing, which was not the case in most Southeast Asian countries, with Singapore as the sole exception. Second, mass political participation and democratic consolidation do not come overnight; rather, it takes time to fulfill the process. Taiwan's political reforms actually began in 1969, when the KMT government held the first island-wide elections for the delegates to the National Assembly and members of the Legislative Yuan during the supplementary elections. It took twenty-two years to complete Taiwanese political participation at the national level when a full-house election for the National Assembly was held in December 1991 and another general election for the Legislative Yuan was held in December 1992. Singapore and Malaysia have offered full political participation for their citizens since the mid-1960s, but they still exercise restrictions on several political freedoms. Thailand's semi democracy in the 1980s was destroyed by a military coup in early 1991, and Filipino democracy, present in the 1950s and 1960s, was devastated by Marcos in 1972. That is the main reason that those two countries are not regarded as consolidated democracies--simply because they need to undergo more democratic transitions prior to becoming consolidated democracies. Such is also the case with Indonesia. Third, stability is a precondition for political reforms and economic growth. Taiwan did not have any military coups or civil wars in the last five decades, although the military dominated Taiwan's politics in the first three decades after 1949. Singapore and Malaysia shared similar experiences of stability with Taiwan, which explains economic achievements and earlier regime transformations in those two countries. The rest of the Southeast Asian countries have been struggling with stability for years. Thailand was troubled with military coups prior to 1992 and under the threat of military coups between 1992 and 1997 during the process of amending the constitution, whereas Aquino of the Philippines experienced six abortive military coups during her presidency between 1986 and 1992. Ruling governments in Vietnam, Laos, Cambodia, Burma, and Brunei have even less confidence in their countries' internal stability, one of the key reasons leading to the practice of authoritarian rule. Fourth, the economic growth rate does not necessarily reflect the wealth of ordinary citizens; other factors contribute to the distribution of economic growth. As seen in the five tables presented in the article, Taiwan's and Singapore's GNP per capita have had sustained economic growth rates in the last five decades, but this has not been the case in Southeast Asia, particularly in Thailand, Indonesia, and Malaysia. Taiwan and those three Southeast Asian countries did achieve similar economic growth rates between the 1960s and the mid-1990s, but the Taiwanese enjoyed a much higher GNP per capita than the Southeast Asians. In this article I analyzed three characteristics of regimes in Southeast Asia (i.e., patronage politics, poor governance, and inequality) that have affected wealth distribution there. To achieve shared growth, Southeast Asian countries must take both political and economic measures. Finally, the example of the political economy of regime transformation in Taiwan could be meaningful to Southeast Asian countries if they take some lessons from the island and heed their implications. Singapore is the only nation-state in Southeast Asia close to the level of Taiwan's development. With a higher GNP per capita, Singapore would possibly achieve democratic consolidation should the People's Action Party government relax its control over political freedoms. Malaysia shares a possible political scenario comparable to Singapore's, but Malaysia's economy falls behind that of Taiwan. Just now entering the era of democratic transition, Thailand, Indonesia, and the Philippines have a long way to go to reach the level of Taiwan's economic development. The rest of the Southeast Asian countries, including Vietnam, Laos, Cambodia, Burma, and Brunei, cannot possibly be compared to Taiwan either politically or economically in the near future. (1.) For more on this connection, see The Taiwan Development Experience and Its Relevance to Other Countries (Taipei: Kwang Hua, 1988); Thomas B. Gold, State and Society in the Taiwan Miracle (Armonk, NY: M. E. Sharpe, 1986); Steve Chan and Cal Clark, Flexibility, Foresight, and Fortune in Taiwan's Development: Navigating Between Scylla and Charybdis (London: Routledge, 1992). (2.) The gap between the rich and the poor is based on a comparison between the top 20 percent of the population and the bottom 20 percent. (3.) For details on Taiwan's economic figures, see Taiwan Statistical Data Book (Taipei: Council for Economic Planning and Development, various years). (4.) John F. Copper, Taiwan: Nation-State or Province? (Boulder: Westview, 1996), 139. (5.) Chiang Ching-kuo died on 13 January 1988. (6.) Yun-han Chu and Tse-min Lin, "The Process of Democratic Consolidation in Taiwan: Social Cleavage, Electoral Competition, and the Emerging Party System," in Taiwan's Electoral Politics and Democratic Transition: Riding the Third Wave, ed. Huang-Mao Tien (New York: M. E. Sharpe, 1996), 79-104. (7.) Cal Clark, Taiwan's Development: Implications for Contending Political Economy Paradigms (New York: Greenwood, 1989); Steven Tsang and Hung-mao Tien, Democratization in Taiwan: Implications for China (New York: St. Martin's, 1999); Phillip Patrick Newell, The Transition to the Transition toward Democracy in Taiwan: Political Change in the Chiang Ching-kuo Era, 1971-1986 (Washington, DC: Georgetown University Press, 1994); Hung-mao Tien, The Great Transition: Political and Social Change in the Republic of China (Stanford: Hoover Institution Press, 1989). (8.) Monte R. Bullard, The Soldier and the Citizen (New York: M. E. Sharpe, 1997), 18. (9.) In May 2000, Chen Shui-bian became the first non-KMT politician to become the president of the ROC. (10.) Copper, Taiwan: Nation-State or Province? 105. (11.) Based on the ROC constitutional amendments, in effect since 1996, the Taiwan Provincial Assembly was renamed the Taiwan Consulting Commission after the Taiwan provincial government was downsized in December 1998. (12.) For details about these three elections, see John F. Copper, "Taiwan's 1994 Mayoral and Gubernatorial Elections," Asian Affairs (summer 1995): 97-118. (13.) Tun-jen Cheng and Chia-lung Lin have also indicated that constitutional reform is one of the three most salient issues in Taiwan. See their article "Taiwan: A Long Decade of Democratic Transition," in Driven by Growth, ed. James Morley (New York: M. E. Sharpe, 1999), 245-47. (14.) James Soong was originally a loyal political ally of President Lee Teng-hui, but later they split because of disagreements on several policies, including the relationship between the central government and the Taiwan provincial government. (15.) James Soong and his supporters later formed the People's First Party. (16.) Because the National Assembly was downsized, it was not necessary to hold elections for the delegates of the National Assembly. (17.) President Chiang Kai-shek actually died in April 1975, ending his presidency. (18.) Yu Tzong-shian, The Story of Taiwan: Economy, 3rd ed. (Taipei: Government Information Office, December 2000), 5. (19.) Chiang Ching-kuo was sworn in as the ROC's president in May 1978 after former president Yen Chia-kan declined to run again. (20.) For figures and details on Taiwan's elections, see Hung-mao Tien, ed., Taiwan's Electoral Politics and Democratic Transition (Armonk, NY: M. E. Sharpe, 1996). (21.) For detailed economic data, see Taiwan Statistical Data Book (Taipei: Council for Economic Planning and Development, various years). (22.) It should be noted that the end of the period of national mobilization also marked the recognition of the existence of the People's Republic of China on the mainland because the ROC government now officially abandoned the policy of retaking the mainland by force. (24.) Tun-jen Chen and Chia-lung Lin, "Taiwan: A Long Decade of Democratic Transition," in Driven by Growth, ed. Morley, 244. (25.) Juan L. Linz and Alfred Stepan, Problems of Democratic Transition and Consolidation: Southern Europe, South America and Post-Communist Europe (Baltimore: Johns Hopkins University Press, 1996), 3. (26.) Department of Statistics, Economic Indicators (Taipei: Department of Statistics, Ministry of Economic Affairs, 2000). (27.) Ibid. The heavy chemical and technology-intensive industries include machinery, electronics, metal products, basic metals, electric appliances, transportation vehicles, precision instruments, rubber and plastic products, and the production of chemical raw materials and products. (28.) Independent candidates won the remaining three city mayoral and county magistrate positions. (29.) The People's First Party, led by former Taiwan governor James C. Y. Soong, was established right after the March 2000 election. (30.) For Indonesia, for instance, see Andrew MacIntyre, Business and Politics in Indonesia (Sydney: Allen and Unwin for Asian Studies and Association of Australia, 1991); for Thailand, see Anek Laothamatas, Business Associations and the New Political Economy of Thailand: From Bureaucratic Polity to Liberal Corporatism (Boulder: Westview, 1989); for Malaysia, see Edmund Terence Gomez and Jomo K. S., Malaysia ' s Political Economy: Politics, Patronage and Profits (Cambridge: Cambridge University Press, 1997); for the Philippines, see Gary Hawes, The Philippine State and the Marcos Regime (Ithaca: Cornell University Press, 1987). (31.) Gary Hawes has done a theoretical analysis and field studies on this subject. See Hawes, The Philippine State. (32.) There are ample literature and analyses on the wealth and promotion of Suharto's children and clients. See, for instance, Harold Crouch, "Indonesia: An Uncertain Outlook" in Institute of Southeast Asian Studies, Southeast Asian Affairs 1994 (Singapore: Institute of Southeast Asian Studies, 1994); Far Eastern Economic Review, 30 April 1992, 55-58. (33.) Harold Crouch, "Money Politics in Malaysia," in Maharthir's Economic Policies, ed. Jomo K. S. (Kuala Lumpur: Insan, 1989). (34.) Edmund Terence Gomez and Jomo K. S., Malaysia's Political Economy: Politics, Patronage and Profits (Cambridge: Cambridge University Press, 1997), 120-22. (35.) Ibid., 53-55 (for Daim Zainuddin), 148-51 (for Tajudin Ramli), 152-58 (for Vincent Tan Chee Yioun), and 159-65 (for Ananda Krishnan). (36.) Chengtian Kuo, "New Financial Politics in Thailand and Malaysia," Issues and Studies 36, no. 6 (November/December 2000): 139-76. (38.) Far Eastern Economic Review, 3 May 2001, 19. (39.) This suppression left many dead or injured. For Burma's chaos in 1988, see Moksha Yitri, "The Crisis in Burma," Asian Survey 29, no. 6 (June 1989): 540-48; Far Eastern Economic Review, 31 March 1988, 34-35. (40.) Jakarta Post, 26 February 2001, 1. (41.) Scott B. Macdonald, "Transparency in Thailand's 1997 Economic Crisis," Asian Survey 38, no. 7 (July 1998): 702. (42.) Other recommendations are rooting out corruption, strengthening central banks and financial regulators, and encouraging the development of soundly regulated equity and debt markets. Stephen Haggard and Andrew MacIntyre, "The Political Economy of the Asian Economic Crisis," Review of International Political Economy 5, no. 3 (autumn 1998): 385. (43.) Chengtian Kuo, "New Financial Politics in Thailand and Malaysia" 174.(44.) For a detailed discussion of corruption in Indonesia, see Berttand de Speville, "Combating Corruption: Policy, Strategy and Lessons Learned" Van Zorge Report, 19 March 2001, 14-32. (46.) Far Eastern Economic Review, 10 May 2001, 25.(47.) Ponciano Intal, "Trends on Poverty, Income Distribution, Development of Domestic Markets and Economic Growth in the Philippines," in Helmut Kurth, Economic Growth and Income Distribution (Quezon City, Philippines: Moed, 1989), 138. (48.) With heavy smoke spewing out from the exhaust pipes of public buses, Jakarta has been ranked as one of the most polluted capital cities in Southeast Asia. (49.) Sukarno actually declared Indonesia's independence immediately after Japan's surrender on 17 August 1945. (50.) It is beyond the scope of this article to explore the political history of the three countries prior to their unification. (51.) The Federation of Malaysia, including Malay Peninsula, Sabah, Sarawak, and Singapore, was established on 10 September 1963, but Singapore later was forced to leave the federation and became a sovereign independent nation-state on 9 August 1965. Brunei, a British protectorate since 1888, declared independence on I January 1984. (52.) Ferdinand Marcos was elected as the president of the Philippines in 1965 and won the presidential election again in 1969, but he declared martial law in September 1972, and that changed the political history of the Philippines. (53.) Benigno Acquino, for example, was assassinated by a uniformed soldier right after he stepped down on the ground at the :Manila International Airport on 21 August 1983. (54.) From the 1977 general elections until May 1998, those parties, together with the ruling Golkar, were the only three parties in Indonesia. (55.) For reports on the political transition from Estrada to Arroyo, see Far Eastern Economic Review, 1 February 2001, 16-20. (56.) A series of demonstrations and outbreaks of violence took place from late 1997 to early 1998, causing more than a thousand deaths in Indonesia. The value of the rupiah, Indonesia's currency, plunged drastically from 2,700:1 against the American dollar in mid-1977 to 11,000:1 in May 2001, reducing Indonesian's wealth more than five times. (57.) D. K. Emerson, "Southeast Asia after the Crisis: A Table of Three Countries," Journal of Democracy 10, no. 4 (October 1999): 36. (58.) Jose Estrada claimed that he did not resign from the presidency. (59.) This is mainly because of the unique electoral system in Singapore, probably the most complicated one in the world. In addition to a single electoral constituency and nominated parliament members, Singapore has also implemented, since the early 1980s, the system of group representation constituencies, which requires candidates to run for election in groups from three to six, depending on the size of the constituency. For the composition of the 1992 general elections, for example, see Hussin Mutalib, "Singapore in 1992--Regime Consolidation with a Twist," Asian Survey 33, no. 2 (February 1993): 194-99. (61.) For reports on Singapore's media liberalization, see The Straits Times, 22 May 2001, 1. (62.) Michael Haas has done research on Singapore's control over the mass media. See Michael Haas, "The Politics of Singapore in the 1980s," Journal of Contemporary Asia 19, no. 1 (1989): 48-77. (63.) One Malaysian scholar has described several characteristics of Malaysia's politics, including expansion of the executive power, restrictions on the mass media, control over the opposition, intervention on judicial review through the majority in the parliament, and so on. See Khoo Boo Teil, "Democracy and Authoritarianism in Malaysia Since 1957: Class, Ethnicity and Changing Capitalism," in Democratization in Southeast and East Asia, ed. Anek Laothamatas (Singapore: Institute for South east Asian Studies, 1997), 49. (64.) See Emerson, "Southeast Asia after the Crisis," 36. (65.) For Vietnam's reforms, see Kai M. Schellhorn, "Political and Economic Reforms in Vietnam," Contemporary Southeast Asia 14, no. 3 (December 1992): 231-43. (66.) In Vietnam's new parliament after the 1997 general elections, for instance, 381 out of a total 450 parliament members are from the Communist Party. Sixty-six legislators are friendly to the Communist party and the remaining three members of the parliament are purely independent. (67.) Far Eastern Economic Review, 3 May 2001, 19-20.(68.) For an analysis of the election, see James F. Guyot, "Myanmar in 1990," Asian Survey 31, no. 2 (February 1991): 206-12. (69.) There were nineteen military coups during this period. For details, see Clark D. Neher, "Political Succession in Thailand," Asian Survey 32, no.7 (July 1992): 585-605. (70.) Chai-Anan Samudavanija, "Thailand: A Stable Semi-Democracy," in Politics in Developing Countries, ed. Larry Diamond, Juan J. Linz, and Seymour Martin Lipset (Boulder: Lynne Rienner, 1990). (71.) For reports on this incident, see Far Eastern Economic Review, 21 May 1992, 10-13; 28 May 1992, 10-11.Samuel C. Y. Ku is a professor and director of the Graduate Institute of Interdisciplinary Studies and Center for Southeast Asian Studies, National Sun Yatsen University, in Kaohsiung, Taiwan.